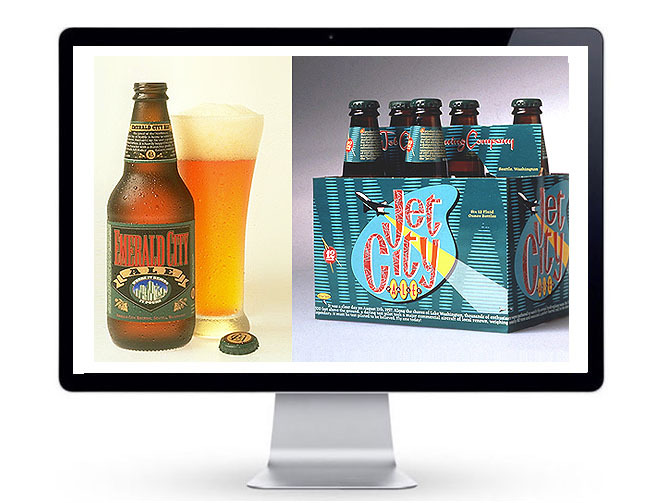 Client: Jet City Ale & The Sonic Boom! Mission: Make the Northwest thirst for adventure "drinkable" in a hand-crafted microbrew. 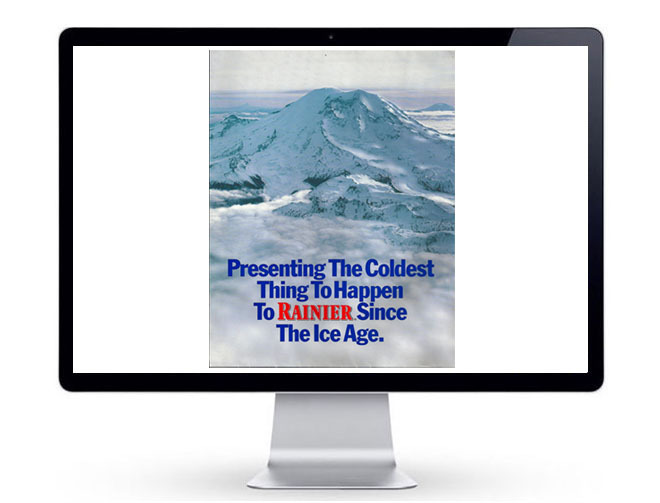 When it comes to Pacific Northwest advertising "bona fides," two of the region's genuine mavericks were John Burgess and James Sundstad of Werkhaus Design. 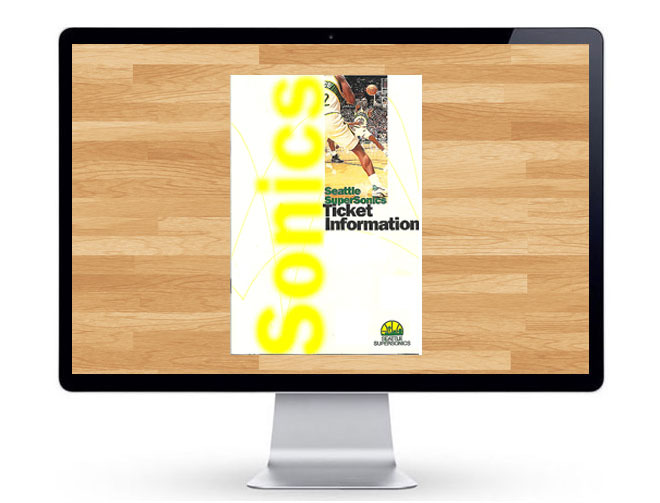 Not only did they always seem to be reveling in the greatest of adventures, they attracted the accounts that epitomized the Northwest spirit: Rainier Beer, Henry Weinhard's Ale, K2 Skis, and the NBA's Seattle Supersonics. 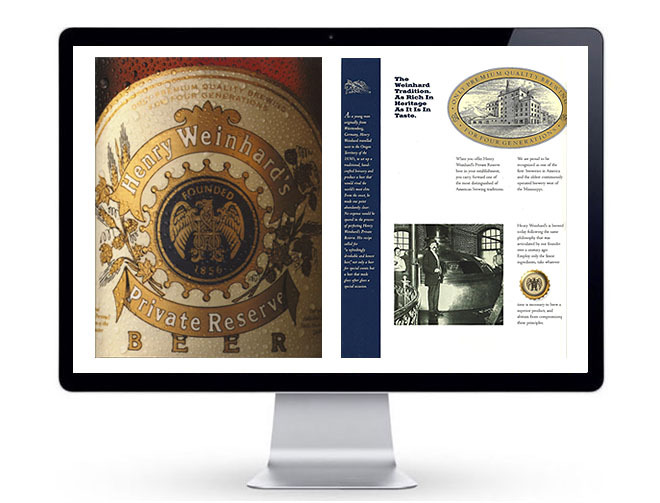 Our early collaborations with Werkhaus included each of these brands where it was all about the copywriting, right down to the neck labels and carrier for this Jet City Ale six-pack. Where else can you tilt back a fine, hand-crafted microbrew and learn something about Jet City, its city of origin, while you're enjoying it? A tip of the hat, and the jet wing! 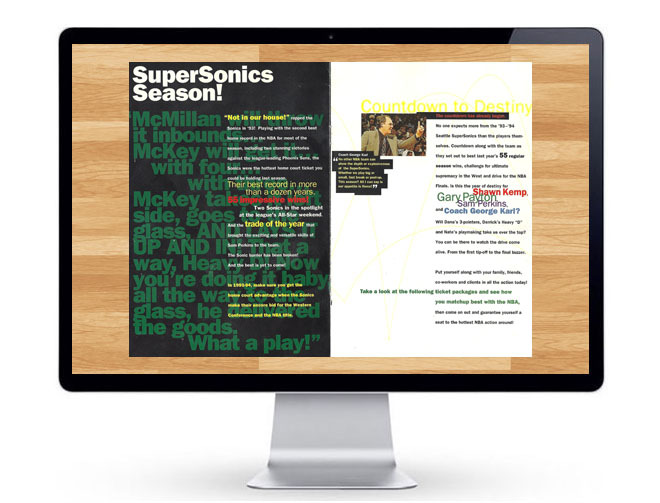 Perspectives: "Not in Our House" was the battle cry for the Seattle Supersonics, and it was the thrill of a lifetime to watch the team compete its way into the NBA Finals against Michael Jordan and the Chicago Bulls. The SearchWrite Playbook was not only consulted for making customers, but creating Fans!"